Where Does London's Tap Water Come From? Emma Finamore Where Does London's Tap Water Come From? Where does London's tap water come from? We spoke to Dave Reynolds, water quality manager at Thames Water, to find out about the stuff that comes out of our taps. Mogden Sewage Treatment Works in Isleworth. 70% of London’s water is supplied by reservoirs, which collect their water from the River Thames, from the west of the city. 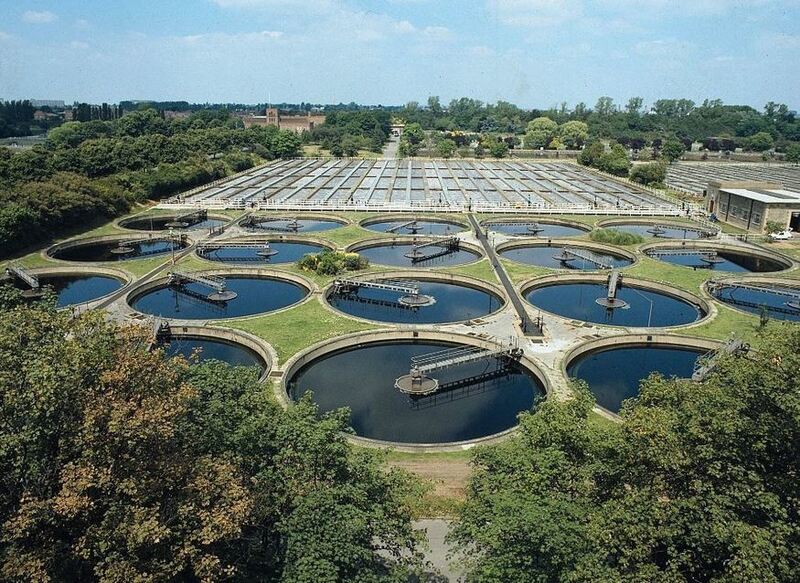 The large reservoirs you see around the M4/M25 store the river water ready for treatment. The water is then treated and put into the London Ring Main — a huge pipe that's essentially the M25 of water pipes, encircling London. The water in this pipe is taken up at various points and put into storage reservoirs, then flow out in pipes, into people’s homes. And the other 30% of water? That comes from boreholes, which bring up groundwater — water beneath the surface of the ground, consisting largely of rain that has seeped down through the soil. This is the source of water that supplies springs, wells and boreholes, as well as important flows to rivers. 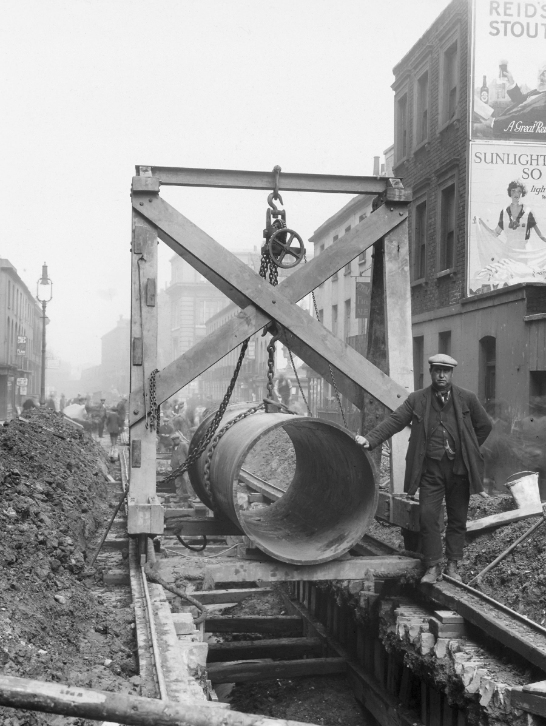 Laying cast iron water mains on Euston Road, 1920s. On an average day Thames Water puts 2,100 megalitres (a million litres) into London's water supply, and 550 megalitres into the Thames Valley. On hot days, it puts in around 2,400 megalitres into the capital, and 700 megalitres to the rest of its region. At Christmas, consumption of water in London drops as businesses close down over the holidays. London receives half as much rain as Sydney, and Thames Water's area is classified as 'seriously water stressed' by the Environment Agency. London has 'hard' water... but what is hard water? Hardness is determined by the level of naturally occurring calcium and magnesium compounds in your water; high content classifies water as hard, and low traces of the compounds make water soft. Hard water is found in areas that have a chalk and limestone geology; water picks up chalk carbonates as it passes through. It's not that London itself is built on chalk and limestone, but the area to the west is — and that is where the water coming into London comes from. Does hardness have health implications? No. However, hard water can lead to scale forming and may also affect the appearance of hot drinks, increase soap consumption and reduce detergent efficiency. That's why your flat white might look a bit weird then. 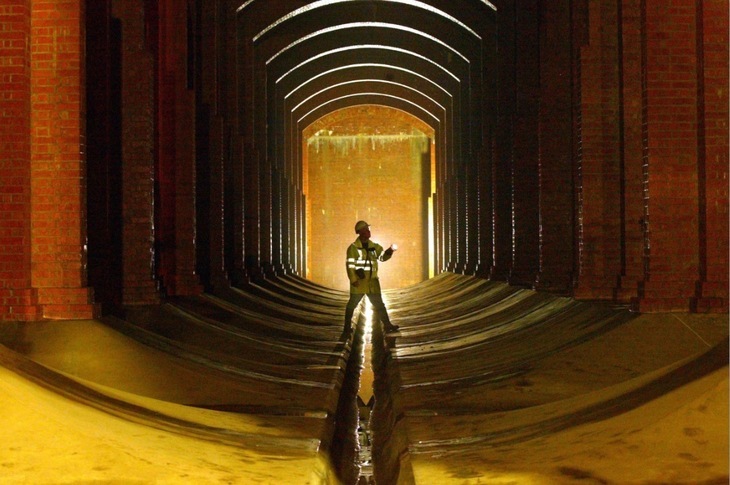 An engineer examines an underground reservoir in Honor Oak. What happens if London's runs out of water? It's OK, there's a plan in place. Under northeast London lies Britain’s only artificially-recharged aquifer used for public water supply: the North London Artificial Recharge Scheme (NLARS). This uses a chalk aquifer beneath Enfield, Haringey and the Lee Valley, to top up treated water when rainfall is plentiful and to use as a back-up resource to boost supplies during droughts. It was used during dry spells in 1997, 2003, 2005 and 2006. NLARS can supply 180m litres a day of extra water — enough for 1.2m Londoners — when needed. 48 boreholes can take water out of NLARS when needed. 31 of them are used to artificially recharge NLARS when there is water to spare, at a rate of between 35 to 40 million litres a day. Six new boreholes were built in 2006, helping boost NLARS's maximum average daily output by 20%. Water drawn from NLARS is pumped into the New River (along which we know a lovely walk) before being treated at either Hornsey, Chingford or Walthamstow water treatment works. 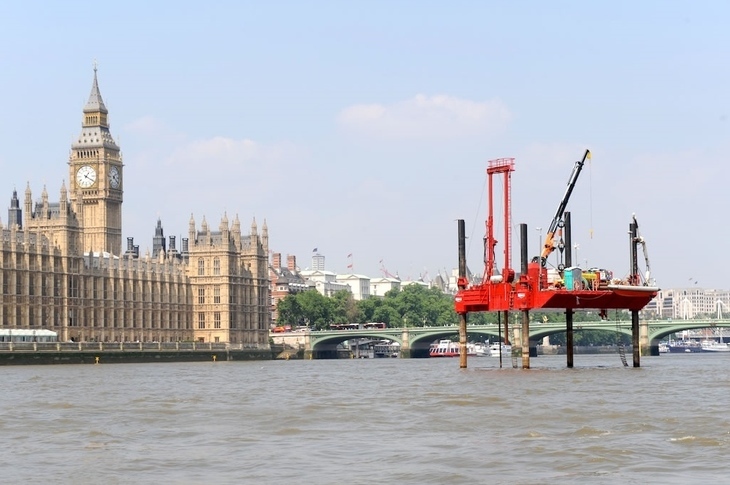 Thames Water explores works for the Thames Tunnel outside Westminster. How do we know London water is safe? As you'd hope, the quality of drinking water in England and Wales is the subject of legally enforceable standards regulated by the Drinking Water Inspectorate (DWI). 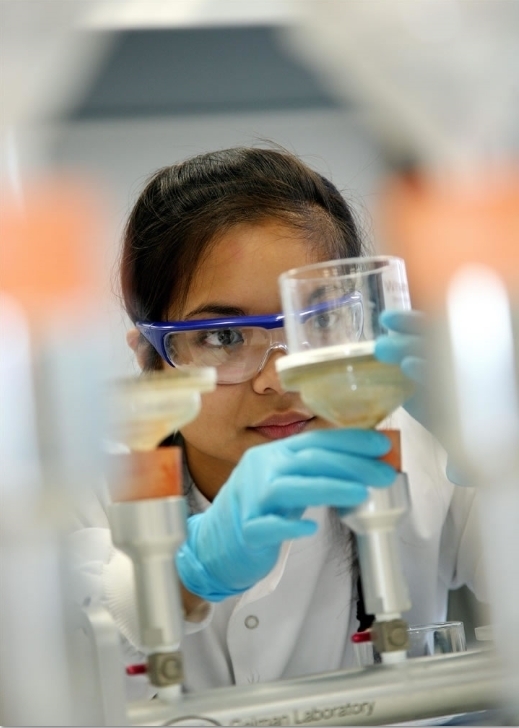 Thames Water takes over 500,000 water samples each year, and puts them through a large number of tests to ensure supplies are safe to drink. The water samples are tested against several parameters to ensure supplies are safe to quaff. Thames Water takes over 500,000 water samples each year. Microbiological tests monitor water for organisms that may indicate the presence of harmful bacteria or viruses. The presence of an indicator organism does not necessarily mean the water is unsafe to drink — however any exceedance is investigated immediately. A failure that poses a public health risk may mean Thames Water takes a site — such as a reservoir — out of service until they've identified the problem and resolved it. They might also tell customers to boil their water before use or, in extreme cases, not use it at all. A small number of companies — although not Thames Water — add fluoride to drinking water to help improve dental health. This however is not the decision of the water companies but that of health authorities. So there you have it — it's safe to keep drinking, Londoners.